When you come to Playa Nicuesa Rainforest Lodge, you find a place in balance with nature. Set on a 165-acre preserve in the undeveloped Osa Peninsula/Golfo Dulce region of Southern Costa Rica, our environmentally sensitive lodge embraces conservation and harmony with the natural environment and caters to travelers interested in ecotourism, nature, and adventure sports. Playa Nicuesa is located within the lush rainforest of the Piedras Blancas National Park and fronts the pristine coastline of the Golfo Dulce off the Pacific Ocean. We provide intimate experiences to connect with the natural world of the rainforest and ocean through educational and adventure activities while adhering to the highest level of sustainable hospitality. Experience nature and adventure at our eco lodge, while maintaining mindfulness of the pristine land we are immersed in. We strive to offer luxury service in an authentic, sustainable and pristine location. Designed in balance with the land, Playa Nicuesa Rainforest Lodge is truly sustainable from its architectural design to every aspect of your experience. Our Sustainability Coordinator ensures that we honor the environment while staying dedicated to the guest experience. Our Main Lodge is an impressive structure designed to respect the earth, using salvaged Costa Rican hardwoods, and offers canopy views of the rainforest. Our cabins feature indoor/outdoor garden showers so you feel at one with this breathtaking destination. Playa Nicuesa Rainforest Lodge is a nature lover's sanctuary. Check out some of our upcoming sustainability events! 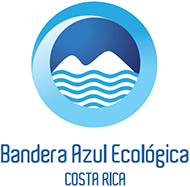 Playa Nicuesa Rainforest Lodge has been awarded the highest rating - 5 Leafs - for sustainability by the Costa Rica government's Tourism Board. 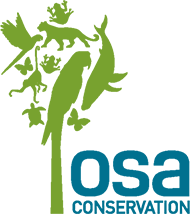 This sustainable tourism program recognizes businesses that comply with a sustainable model of natural, cultural and social resource management. 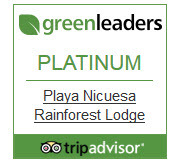 Nicuesa Lodge has additionally been awarded Platinum level GreenLeader into the TripAdvisor® GreenLeaders™ programme, which helps travellers around the world plan greener trips by highlighting hotels engaging in environmentally-friendly practices. 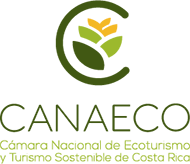 The TripAdvisor GreenLeaders program was developed in consultation with the United Nations Environment Programme, the International Tourism Partnership, Carbon Trust, and the UK Green Building Council, among other leading environmental organizations.